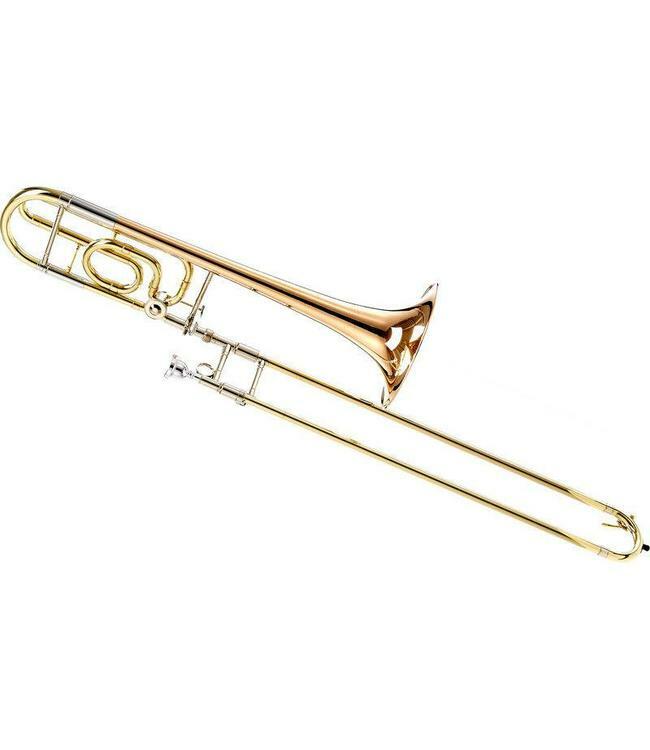 The Conn 52H is a .525"/.547" dual bore F attachment tenor trombone made with an 8-5/8" rose brass bell resulting in a warm, rich colorful sound. The traditional wrap F section promotes clean attacks and stability. The chrome plated nickel silver inner handslide tubes provide the ideal surface for smooth and quick handslide action. The clear lacquer finish provides a subtle warmth to the overall sound. The 52H is a well designed durable instrument perfect for the students and amateur musicians and is well suited for all types of music.